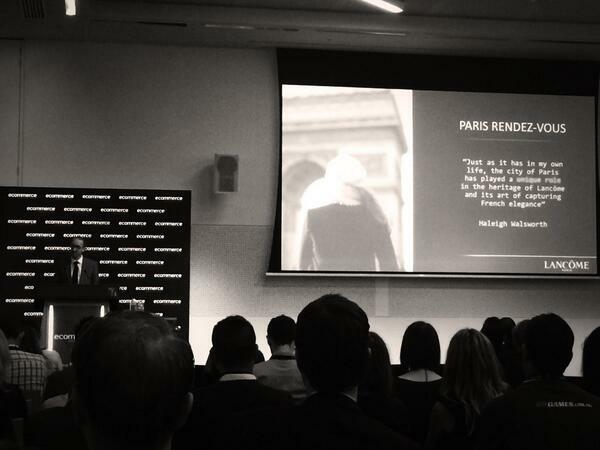 The e-commerce Conference & Expo, based in Melbourne from the 25-27th March 2014, saw key delegates in the retail sector come together with industry ringleaders. The two professionals with the most insightful, actionable, messages were Alessio Rossi, Head of Digital at Lancôme USA and Adam Ostrow, Chief Strategy Officer at Mashable. Lesson 1: Leverage your brand integrity to create memorable customer impressions. Rossi succinctly put that “Lancôme USA are focusing on their brand equity and remaining true to their luxury brand roots”. When choosing campaigns and platforms for the consumers to experience the Lancôme brand, user experience (UX) design is crucial. The take-home was essentially: the greater the usability across devices, the further the content will travel. Their curated e-commerce store is said to be the “one place where we learn, engage and shop. [The] one place to fully control the Lancôme experience.” Engaging with users on a 1:1 level is now key to building longevity in retaining customer relationships. It’s important to keep this 1:1 attitude in mind when building a CRM strategy, so each consumer receives an personalised experience. Ostrow, whilst playing in the media and marketing space, still strives to empower the public with a collated brand experience. 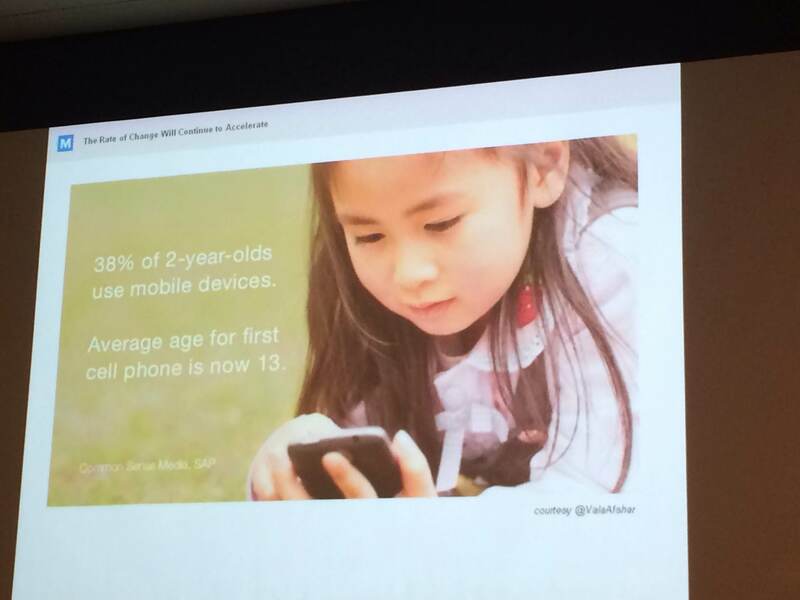 The Chief Strategist mentioned that, “38% of 2 year olds use mobile devices. [The] average age for first cell phone is now 13,” with a bit of forecast for the future trends; Ostrow boasted an increasingly targeted demographic strategy. As children grow to be inherently tech-savvy from a young age, it’s important to plan for encompassing that audience in the future. There’s no doubt that social marketing is central to any retail business strategy. As Mashable exponentially increases in popularity and saturates the retail technology media-sphere, it’s important to look at why their market penetration has been so successful. 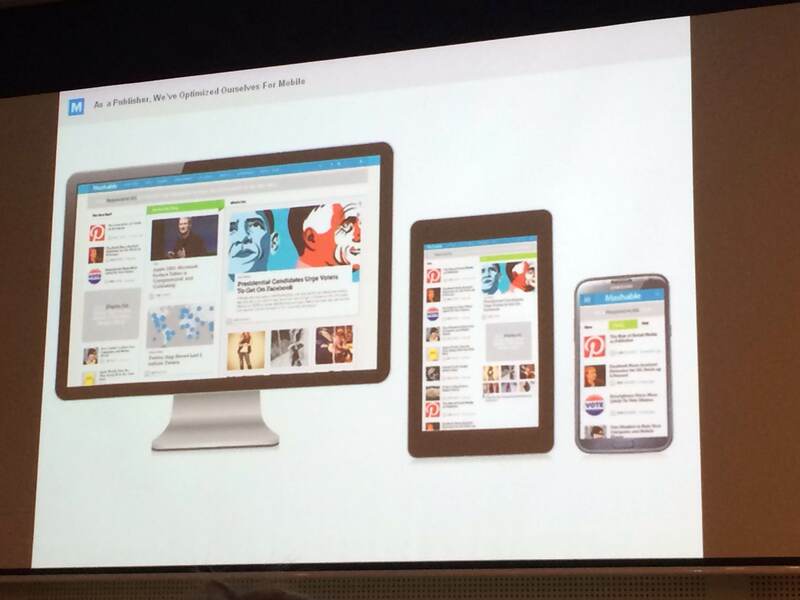 Ostrow mentioned that: “Mashable use velocity to aggregate their homepage content. Articles with the highest potential for virality get the biggest spread.” The key features of sharable content are images – those with the best and biggest images tend to spread the quickest. This transcends to social, as Mashable have 1M upwards followers across their social channels, content with links and images gain the most traction with “retweets” or likes”. Ostrow focused on Instagram as the source for this pictorial uptake on social. “The news now breaks on social media, often in images, so imagery is important”. With images in mind, Rossi mentioned that the Lancôme’s “Lancôme Loves Nails” campaign generated the highest conversion rate ever seen for beauty products. 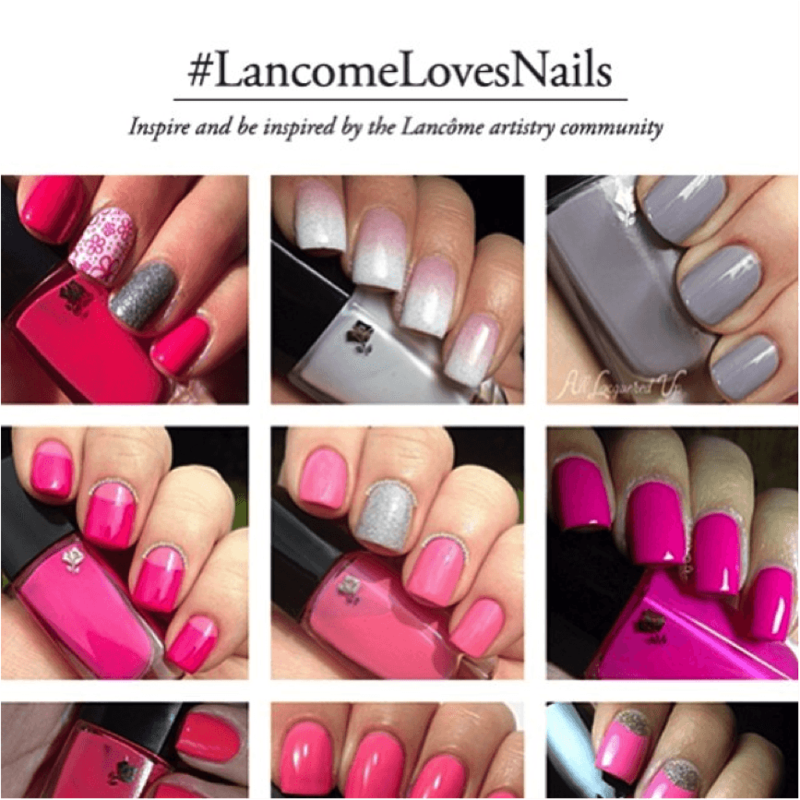 Utilising Instagram, customers were asked to freely upload images of their nails after using the Lancôme enamel range. Rossi mentioned that this tactic was about engaging with new customers, and allowing them to feel great about themselves by sharing their favourite products. As mentioned by Benedict Evans in his “Mobile is eating the world” presentation, mobile has surpassed PC sales with 600M+ units sold globally. With this value exponentially increasing, having a mobile-first design strategy is pivotal. “In 7 years, what will “she” do? How does she connect? If you’re able to map this out and plan the right campaigns, at the right time, with the right channels you will succeed.” Rossi raised the point of forward thinking to enact long-term brand impressions, however utilising the right tactics for each individualised component is essential. The business conversion: keep UX design, in particular mobile, central to your campaign & platform implementation tactics. For Mashable, ”aggregating content, with the mobile & social paradigm in mind, is central to success in targeting users.” The above image features their responsively designed, multi-platform experience. With 50% of Mashable’s users arriving from social, and accessing on mobile, this UX design facilitates their increase-in-post-virality strategy. It was reaffirmed by Ostrow that, “Facebook has become the most powerful distribution tool for media content.” Mashable have seen engagement increase by 250% yearly thanks to the Facebook newsfeed now acting as an aggregation of shared articles.